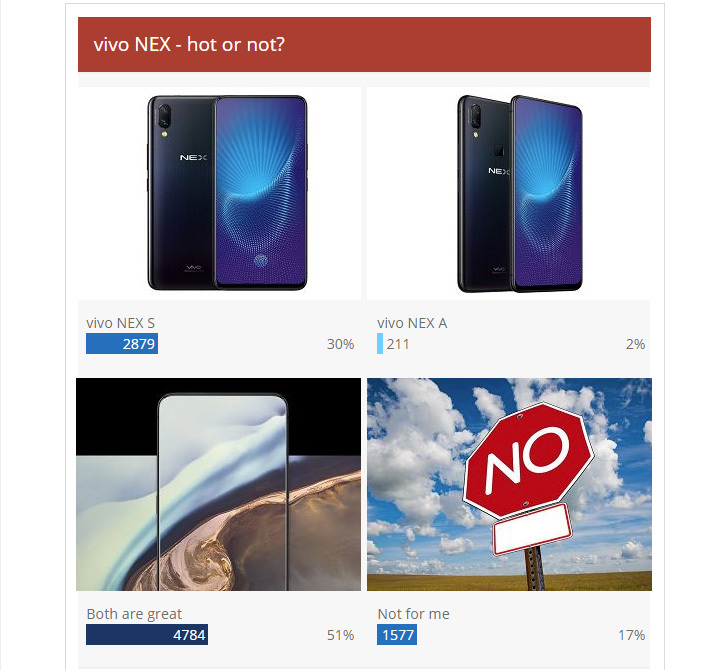 The vivo NEX S and NEX A struck a chord with fans – the “both are great” option in last week’s poll topped 51%. Even so the favorite is clear – the S by itself got 30% of the vote while the A alone got only 2%. Still, that’s as positive a result as vivo could have possibly hoped for. The phones were commended for getting many things right. There are a lot of vocal opponents of the notch and they came to support the NEX phones, though there were also people who just thought that the pop-up camera is cool. The under display fingerprint reader was also seen like a plus (although there weren’t any complaints about the traditional reader on the NEX A). These two vivo phones also deliver a couple of common wished-for features – a large battery and a 3.5 mm headphone jack. The lack of a microSD card slot was noted as a negative, however. 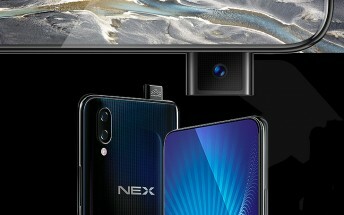 Price was the final piece of the puzzle – the NEX S with its UD fingerprint reader and Snapdragon 845 makes other Android flagships look overpriced. The NEX A with Snapdragon 710 could have been cheaper, though.